Gucci announces Changemakers: A community fund and scholarship program for North America alongside a global volunteering program. 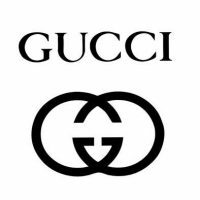 Milan, March 18, 2019 – Gucci announces a global program to support industry change and to foster unity through community action, called Changemakers, following the company’s announcement of a long- term diversity and inclusion action plan. The Changemakers program, initially launched internally in 2018, includes a multi-year US $5 million Changemakers Fund and a US $1.5 million scholarship program in North America, alongside a global employee-volunteering framework that will fuel the company’s commitment to creating lasting social impact in our communities and within the fashion industry. The Gucci Changemakers Fund will support social change by investing in community-based programs in cities across North America. 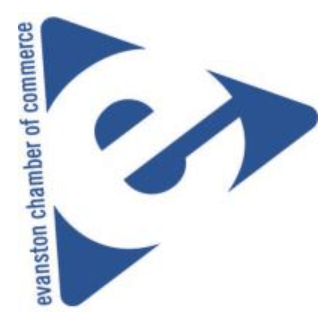 This US $5 million fund will have a particular focus on building strong connections and opportunities within the African-American community and communities of color at large, while bringing positive change and inspiring solutions for a better future. Gucci will enlist the support of an external council that will include community leaders and social change experts to ensure transparency, accountability and long-term impact. This Changemakers Council, which is currently in formation, will select nonprofit partner organizations in cities across North America that initially include Atlanta, Chicago, Detroit, Houston, Los Angeles, Miami, New York, San Francisco, Toronto and Washington DC. Gucci Changemakers will have a focus on empowering young people through education by giving a voice to the next generation. Building on the company’s recently announced Global Multi-Cultural Design Scholarship Program, Gucci will empower more diverse talent in North America to access the industry through scholarships that will be available to college students across various disciplines with the ambition to work in fashion. The Changemakers Council will also help select eligible students from schools across North America to participate in the Gucci Changemakers Scholarship Fund. Over the course of four years, each student shall receive a US $20,000 grant toward completing their college education. More information will be announced this spring detailing the eligibility and application process. Inquiries can be submitted at the following email address: changemakerscholarship@gucci.com. Initially announced to employees in 2018, the Gucci Changemakers volunteering program empowers all 18,000 Gucci employees worldwide to dedicate up to four paid days off for volunteering activities in their local communities. This represents up to 8,000 days of volunteer support in North America, the first region in the global rollout, where volunteering opportunities cover four main pillars: equality; support for refugees and the homeless, protection of the environment and education. A parallel US $5 million Changemakers Fund will also be established in the Asia Pacific region, in conjunction with the rollout of the volunteering program in June. The launch of the Changemakers Program follows the four long-term initiatives that are currently in progress and were announced on February 14th: the hiring of a Global Director for Diversity and Inclusion led by Hanold Associates and Regional Directors for Diversity and Inclusion in each region; a Global Multi-Cultural Design Scholarship Program in partnership with colleges in 10 cities around the world and hiring five new designers from around the world to fill positions in the Rome design office; the Diversity and Inclusivity Awareness Program for all of the company’s 18,000 employees; and the Internal Global Exchange Program that has already placed three regional employees in the corporate offices. Gucci’s overall commitment to social impact is fully aligned with Kering’s 2025 Sustainability Strategy.